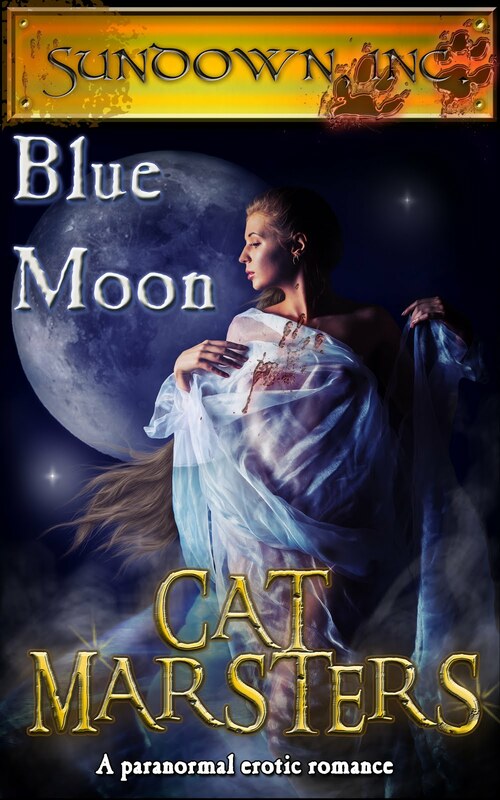 Cat Marsters: Blue Moon out now! "Magda liked to think she was a reasonably stable person who didn’t often go around licking strangers’ balls, but today was really testing her theory." 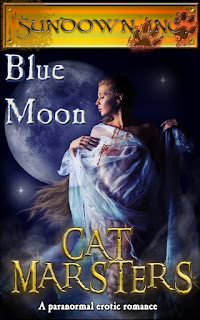 When a crazed wolf hurls himself at her car, Magda’s more worried about the paintwork than her own safety – after all, she’s a werewolf herself – until she realizes that the wolf in question is a loup-garou, totally mindless in the face of the full moon, bent on destruction and death. But when the moon goes down her loup-garou is a beautiful man with a gentle soul: just the thing for Magda, who’s already been bruised and beaten by love, left with three children and a thirst for independence. Yet how can she trust that at the next moon, he won’t escape his bonds and slaughter her family? Blue Moon: You never know when you might run over Mr. Tall, Dark, & Psychotic. Out now: What Wizards Want!